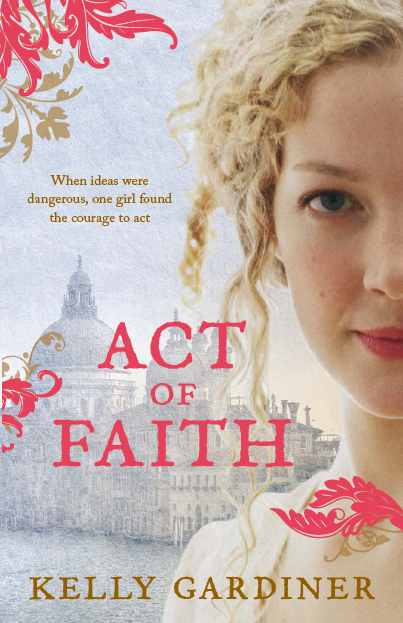 Proofreading’s all done on Act of Faith. Those sharp eyes at HarperCollins spotted a few howlers, thank God. That’s what happens when you chop and change, which you inevitably do. You lose track of whether you are just before dawn or just after dawn and make your characters do a bit of time travel – not a good thing when it’s not science fiction or fantasy. Or you move a sentence and then find it swinging in the breeze, alone and without meaning. Anyway, I hope we caught them all. I love being edited. As someone who is also in the business of publishing other people’s content (albeit online), and often trains people to write for the web, I’m always astonished when people say “Don’t change a word”. Meaning, “I don’t want my pearl-like prose to be touched by some talentless hack”. Don’t you mess with my text. You’ll ruin it. This book has been well edited and I’m very pleased with both the process and the result. Other people see things you simply cannot see – you stop seeing – especially words or phrases you use too often. Other people ask sensible questions like “Did you mean for that to happen?”. It all goes to make the reading experience as smooth as possible. Don’t you hate it when you’re caught up in an adventure or an argument and your mind trips over a typo or a logical gap? Of course, we all make mistakes and sometimes editors do too. Have you ever seen those websites where people dissect in minute detail any bloopers in the Harry Potter books? Well, life’s too short to spend time documenting them, but they are all good fun – just the other day I was reading Deathly Hallows and was stopped yet again by the fact that Dean has no father on one page and parents a few chapters later. It’s easy enough to do, especially with that many characters and details.No doubt there will be something, even with all this wonderful editing, in Act of Faith. I will find it the day after it comes back from the printers. But never you mind. Which is one of those phrases I used far too often in it.